How to hook up your SEGA Nomad to your television. This port is used for the SEGA Composite RCA AV Cable (red, white & Yellow). And can be used with an RF Box. The SEGA Nomad has two different ways to connect to your television. COMPOSITE RCA: this provides the best picture quality available from the SEGA Nomad and is what Gametrog recommends. Plug the SEGA RF Box cable into your SEGA Nomad. You use the cable with the end that just plugs in, not the end with the screw on it. Attach the other end of the SEGA RF Box to your television cable port. (see diagram) If you are currently using this port for you Antenna, Cable or Satellite TV, and you only have one port (unlike the diagram). Unscrew the cord, screw in the RF box, and then screw the TV Cord to the port supplied on the RF box (shown on bottom of illustration). This way your TV source will continue to work. Change the CH3-CH4 switch (Which is located on the MK-1632 RF box) to desired channel. The channel shouldn’t matter. This channel would be yout TV’s tuner channels or local channel. Not a cable or satalite providers channel. On your TV’s INPUTS this is normally refered to as AIR. 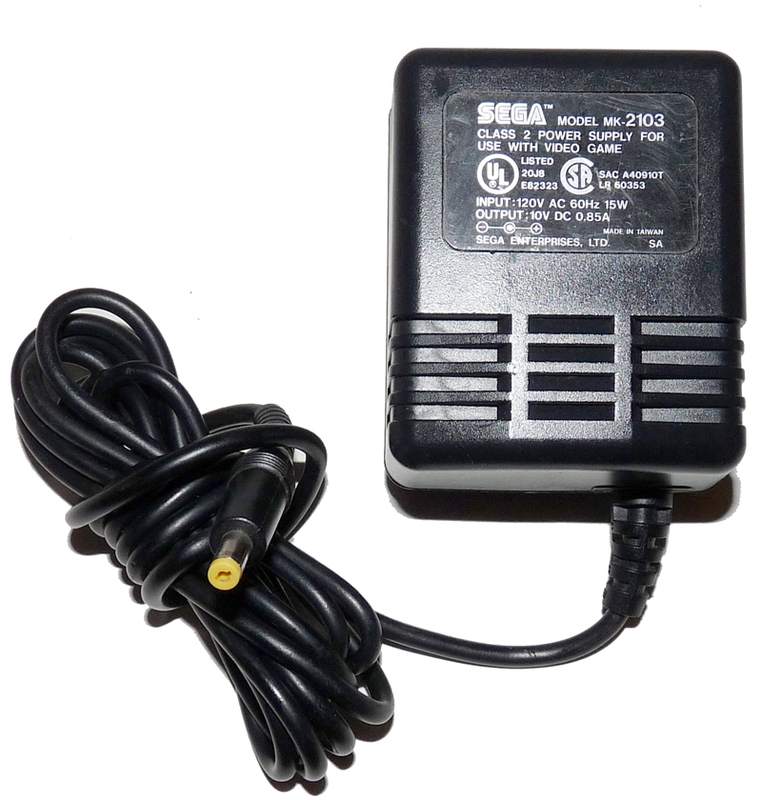 Plug the SEGA MK-2103 Power Supply into the back of the SEGA Nomad. 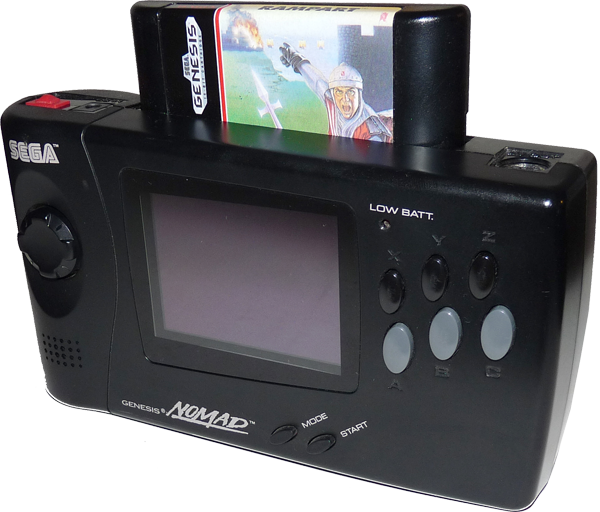 NOTE: Even thought the SEGA Nomad can run on batteries, you can not use them when playing on a television. You will need to use the power supply and plug it into the wall outlet. 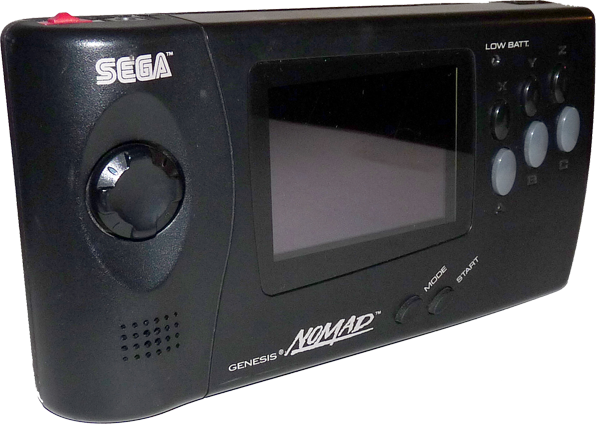 Plug in a game and turn on the SEGA Nomad, even if you don’t see it on the TV yet. You should see the power light on the SEGA Nomad light up (a good sign) and doing this first will help in finding the right TV settings, when you’re searching for the right channel or input and you see the game, you got it right! NOTE: There is a regular controller port on the bottom of the SEGA Nomad that can be used for two player games. 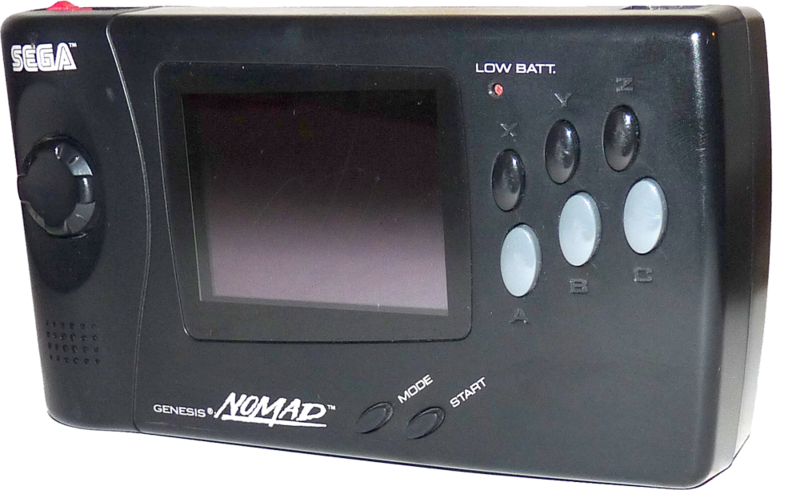 But the player one controller is the Nomad itself. So you will be holding the SEGA Nomad and using it as if you were playing mobile. Go into the Comic Zone! This method will give you the best picture quality you can get from the SEGA Nomad. It is the method you should use whenever possible as the improved image quality over the RF connection, is very noticeable. So let’s get started! Plug the SEGA Genesis Model 2 RCA AV cable into your SEGA Nomad. Plug the SEGA 2103 Power Supply into the SEGA Nomad. Plug in a game and turn on the game system on even if you don’t see it on the TV yet. You should see the power light on the SEGA Nomad light up (a good sign) and doing this first will help in finding the right TV settings, when you’re searching for the right channel and you see the game, you got it right! Play some mobile Phantasy Star IV!